With the temperature heating up, it's time to free your feet! These styles will take you from the city streets to the beach, and back again, work for both men and women, and can all be found at Office. Here's my pick of essential summer footwear basics. The Arizona from Birkenstock is a classic. It's currently enjoying a revival, although in my opinion they've never been out of fashion! I bought my first pair in 1990 and still have a pair now as they are so incredibly comfortable. 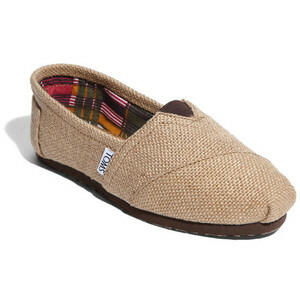 These slip ons from TOMS not only look good but also 'do good' as for every pair purchased, TOMS will give a pair to a child in need. One for One. The best are in a neutral colour, so they appear a little smarter and go with everything. Havaianas Flip Flops are the best on the market. These slim grey ones are an easy to wear beach essential for women, and the best for men are a bit thicker, and in one of the neutral colours on offer. Lizzie Edwards is a leading Image Consultant and Personal Stylist for Men and Women, and based in London, UK.